David Weiner breaks down the Houston Rockets salary cap situation and the tools they will have at their disposal to improve the team this summer. Well, that sort of sucked. After a strong regular season — in which the Houston Rockets amassed a 54-28 record and got the 4-seed in the Western Conference despite several key contributors missing stretches throughout the year — the Rockets bowed out in the first round of the NBA Playoffs, succumbing to the Portland Trailblazers 4-2 despite holding home-court advantage in the series. Each game was a down-to-the-wire nail-biter — Rockets GM Daryl Morey even described each game as “a coin flip” — yet Portland seemed to make just a few more key plays than Houston did throughout the series, none bigger than Damian Lillard‘s buzzer-beating 3-pointer to end the Rockets’ season in Game 6. So, as we Rockets fans attempt to dry our tears and/or to get over our hangovers (both figurative and literal), it’s time to take stock of the team’s current salary cap situation and where the Rockets can go from here. The Houston Rockets are currently scheduled to have nearly $64.95 million in team salary committed for the 2014-15 season: Dwight Howard ($21.44 million), James Harden ($14.73 million), Jeremy Lin ($8.37 million cap hit), Omer Asik ($8.37 million cap hit), Terrence Jones ($1.62 million), Donatas Motiejunas ($1.48 million), Francisco Garcia ($1,316,809 – player option), Josh Powell ($1,227,985, non-guaranteed), Omri Casspi ($1,063,384, non-guaranteed until August 5), the cap hold for the #25 pick in the 2014 NBA Draft ($991,000), Chandler Parsons ($964,750, assuming the Rockets exercise their option – more on that here), Patrick Beverley ($915,243, non-guaranteed), Isaiah Canaan ($816,482), Robert Covington ($816,482, partially guaranteed for $150,000), and Troy Daniels ($816,482, non-guaranteed). Non-Taxpayer Mid-Level Exception: This is the largest form of Mid-Level Exception (MLE) available. It allows a team to sign one or more free agents to contracts of up to four years with a starting salary, in the aggregate, of up to $5.305 million. Any team that utilizes this MLE (as opposed to the smaller Taxpayer MLE) will be “hard-capped” at the luxury tax “apron” level (currently projected to be around $81 million next season). The Rockets could either shoot for the best player available on the market willing to take a full four-year MLE deal, or they could dangle a one-year deal in the $4-5 million range to a lesser (but still pretty good) player in order to preserve salary cap flexibility in 2015 (when Houston could once again have near-max cap room). If the Rockets use a high second round pick on a player who will not be stashed overseas, expect the team to set aside a small portion of the MLE in order to sign that pick to a three- or four-year deal (akin to deals they’ve given guys like Chase Budinger, Parsons and Canaan in recent years). Houston could also use a portion of the MLE to bring over promising Greek small forward Kostas Papanikolaou, whose draft rights the Rockets acquired in the Thomas Robinson trade with Portland last summer. Bi-Annual Exception: This exception (a/k/a the BAE) allows a team to sign one or more free agents to contracts of up to two years with a starting salary, in the aggregate, of up to $2.077 million. Like the Non-Taxpayer MLE, the use of the BAE will create a hard cap at the luxury tax apron level. As the name suggests, this exception is only available once every two years. The Rockets will likely either be under the cap or approaching the luxury tax next summer, so in either case it is unlikely that they will have any use for the BAE in 2015. However, since the BAE is not much larger than the veteran’s minimum salary for many vets worthy of the BAE, look for the Rockets to avoid using this exception unless they find a younger veteran willing to play in Houston on the cheap. Non-Guaranteed Salary: The Rockets have a handful of small non-guaranteed contracts (most notably, those of Powell and Casspi) that they can combine in order to take in larger salaries in trades, either for existing contracts or in sign-and-trades. Such salary could either be a decent MLE-level player on a team looking to slash salary or possibly even a straight salary dump of an unwanted player as part of a larger deal otherwise benefiting Houston. Because the Rockets are well below the luxury tax threshold, they should be able to make smaller trades in order to take up to 150% plus $100,000 of outgoing salary. For example, if the Rockets were able to pull off a sign-and-trade deal for Carmelo Anthony (presumably using the contracts of Lin and Asik along with other assets and likely involving a third team), the New York Knicks may want the Rockets to also take back some unwanted salary, such as Raymond Felton (still owed over $3.79 million next year with a player option in 2015-16 for $3.95 million). In a separate trade, the Rockets could send a package of Powell, Casspi and Covington in exchange for Felton. In such a (side) trade, the Knicks could dump Felton’s salary and take back only $150,000 in guaranteed salary in Covington or, more likely, just keep Covington on his cheap contract. These roster-building tools do not even account for what players the Rockets might add in the draft. Houston goes into the 2014 NBA Draft holding the 25th and 42nd picks. The Rockets also have approximately $1.48 million in cash remaining from their Maximum Annual Cash Limit for the 2013-14 season. Expect Houston to attempt to move up in the draft — as they try to do every year — if there is a player they value highly enough in the lottery or mid-first round. That $1.48 million allowance (which cannot be carried over after June 30) could be useful in a draft day trade. The Rockets also own as many as four 2015 second round picks that could be used to trade up. If Houston is unsuccessful in moving up in the draft, the NBA Transaction Geek in me is hoping that Morey does what he did during the 2008 NBA Draft: Trade his way down to acquire multiple/future picks. 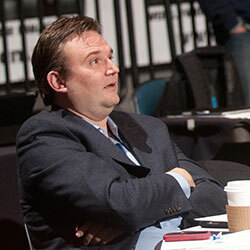 In 2008 (the last time the Rockets selected 25th), Morey traded down twice and turned the 25th pick into the 28th and 33rd picks and a high 2009 second round pick. If they stand pat at #25, expect the Rockets to do what they do every year and take the best player available on the board, regardless of position. At #42, if there is not a highly-enough rated player on their draft board, Houston could elect to take a foreign prospect to stash overseas for a few years. Chandler Parsons: Again, the issue of whether or not to pick of Parsons’s team option by the late June deadline has been discussed ad nauseum. Here’s the link again. Francisco Garcia: In a rare scenario under Morey’s tenure as Rockets GM, the Rockets will actually have to wait and see what Garcia does by June 30, as Garcia has a player option for 2014-15 at the veteran’s minimum (for him, just over $1.3 million). 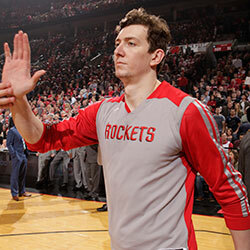 If Garcia declines his option, do not be surprised if the Rockets once again re-sign him. The league would pick up the tab on a good chunk of Garcia’s salary on a one-year deal (as opposed to on the second season of the two-year deal he signed in 2013), without reducing Garcia’s paycheck. Jordan Hamilton: As Houston’s sole unrestricted free agent, the Rockets will need to evaluate whether they want to keep Hamilton around beyond this season. While the CBA limits the Rockets’ ability to offer Hamilton more than $2.1 million next season (since Denver did not pick up their option on Hamilton’s rookie scale contract), it now seems unlikely that Hamilton will command that much on the open market. If the Rockets select a wing player in the NBA Draft, or if the team simply feels that Covington is a better long-term prospect at that spot, then Hamilton’s days in Houston may be over. Omri Casspi: If the Rockets don’t use Casspi in a trade before August 5, they will need to decide how badly they want him next season. Like with Garcia, the Rockets could possibly re-sign Casspi to a one-year deal in which the league picks up part of the tab . . . assuming that Casspi clears waivers. The other non-guaranteed guys (Beverley, Powell, Covington and Daniels) presumably will not require decisions on their futures at least until training camp in October. Rockets fans are hurting right now after a tough first-round loss. But there is some room for optimism. Houston has several tools at its disposal to improve the roster for next season, even if a third star player doesn’t “shake loose.” By utilizing those tools — and with this young core having another year to gel — the Rockets should be better positioned to make a deep playoff run next May.